Happy Halloween! To put you in a hair-raising mood, today I’m featuring the upcoming novel from new talent C.J. Tudor, who made me squirm last year with her disturbing and bone-chilling psychological thriller debut, The Chalk Man. 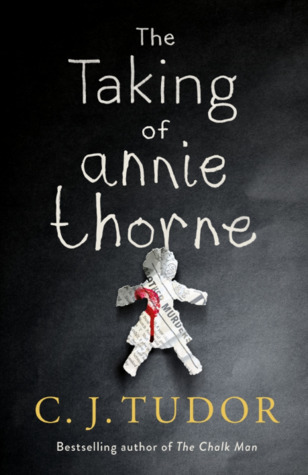 Note: the book will also be published in the UK but with a different title, The Taking of Annie Thorne. 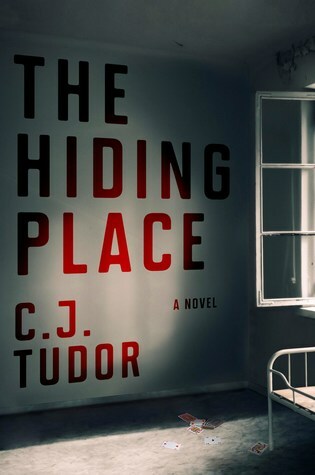 “The thrilling second novel from the author of The Chalk Man, about a teacher with a hidden agenda who returns to settle scores at a school he once attended, only to uncover a darker secret than he could have imagined. Wow, this sounds twisty and kinda dark! I love the idea of him coming back to teach and settle the score, only to find something WORSE going on. I’ll probably be adding this one! I know, it sounds really good! I loved her first thriller so I have high hopes for this one. Ooh nice! Those are new to me ones! They sound like intriguing reads too! Hope you enjoy them both once you get a hold of them! I wasn’t a fan of The Chalk Man but didn’t mind the writing and am wanting to give the author another chance. I hate it when books are marketed under different titles – it kind of bugs me. I actually like UK title and cover better as I think the US one seems a tad generic. Thanks for sharing this one! Yeah, I didn’t even know of the UK title until I put together this post! I haven’t read The Chalk Man yet but I love the sound of it, and this one sounds good too! I haven’t read the Chalk Man but I do have a copy of this one waiting to be read. Hope it lives up to expectations. Fantastic, you have the UK version! This sounds amazing! I like the US cover the best, I think. This sounds so good, and I;m always amused when the US/UK have different titles. And so vastly different too!